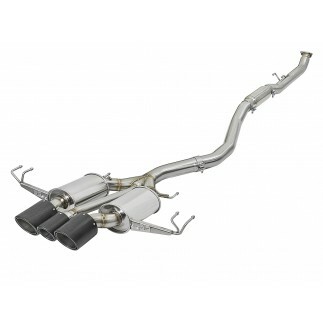 This down-pipe was designed as a "Race" version for added performance and a more aggressive sound. This down-pipe mounts directly to factory mounting locations and includes hardware for a hassle-free installation. 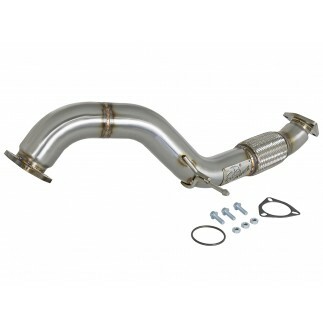 A 3" unique design is used to increase exhaust velocity and increase usable torque. This means more aggressive throttle response and increased passing power. Utilizes OE-style flanges for a secure leak-free seal. This down-pipe is constructed of 3" mandrel-bent, brushed 304 stainless steel tubing for maximum performance, corrosion resistance and strength eliminating cracking.